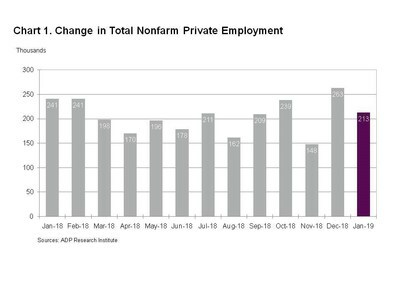 ROSELAND, N.J., Jan. 30, 2019 /PRNewswire/ -- Private sector employment increased by 213,000 jobs from December to January according to the January ADP National Employment Report®. 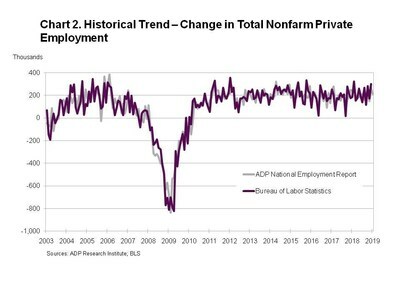 Broadly distributed to the public each month, free of charge, the ADP National Employment Report is produced by the ADP Research Institute® in collaboration with Moody's Analytics. 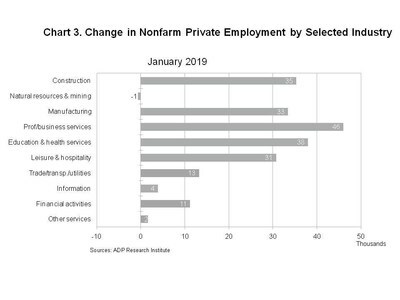 The report, which is derived from ADP's actual payroll data, measures the change in total nonfarm private employment each month on a seasonally-adjusted basis. "The labor market has continued its pattern of strong growth with little sign of a slowdown in sight," said Ahu Yildirmaz, vice president and co-head of the ADP Research Institute. "We saw significant growth in nearly all industries, with manufacturing adding the most jobs in more than four years. Midsized businesses continue to lead job creation, however the share of jobs was spread a bit more evenly across all company sizes this month." Mark Zandi, chief economist of Moody's Analytics, said, "The job market weathered the government shutdown well. Despite the severe disruptions, businesses continued to add aggressively to their payrolls. As long as businesses hire strongly the economic expansion will continue on." 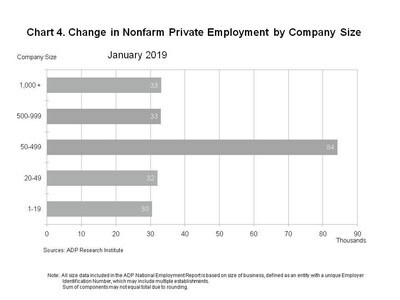 The matched sample used to develop the ADP National Employment Report was derived from ADP payroll data, which represents 411,000 U.S. clients employing nearly 24 million workers in the U.S. The December total of jobs added was revised down from 271,000 to 263,000.